Breaking down at the side of a busy road is many people’s worst nightmare, but do you actually know what your breakdown covers you for should the worst happen? Admiral customers made over 75,000 breakdown claims in 2016, and according to market researcher, Mintel, there are more than 29 million breakdown policies in the UK – but do you know what those policies actually cover? 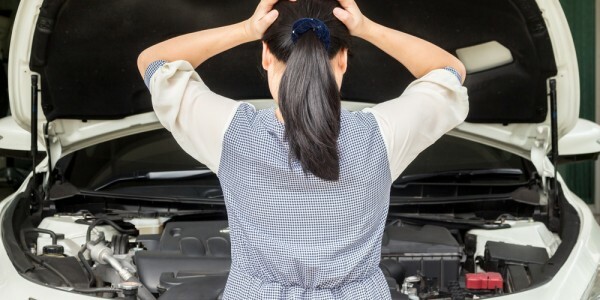 We answer some commonly asked questions to help you work out what the best car breakdown cover is for you. There are lots of options out there and it's easy to get confused about what you're actually covered for when you breakdown. Unless you've broken down yourself, you’ve probably never had to consider it. Generally a breakdown is a fault which stops your car from being able to move. The most common faults are with batteries and tyres, so it's a good idea to make sure you keep up to date with replacing them as they wear down. However, there are lots of other things which can go wrong on the road and after a 2016 survey of Admiral’s customers revealed some common questions, we thought we’d try to answer those for you. If I run out of fuel can I call my breakdown provider? With all of Admiral's Breakdown Cover options, there's no need to hike to the nearest petrol station if you run out of fuel. We can recover you to the nearest filling station so you can be on your way as quickly as possible. Can I call my breakdown provider if I put the wrong fuel in my car? If you’re an Admiral Breakdown customer and misfuel your car (that's putting petrol in your diesel, or vice-versa), your breakdown cover will take care of everything. Simply call our 24-hr breakdown Claims team who'll arrange for a specialist to perform a 'drain and flush procedure'. Unlike some other breakdown providers, if the fuel has caused damage to the car we can fix that too (see your policy booklet for more information). Can I use Admiral Breakdown Cover to move my car if I have an accident? Assistance after an accident isn't a feature of our breakdown cover. If you have an accident and your car needs to be moved our Claims team will help you arrange this. If you have comprehensive insurance this will be covered when you make a claim. What happens if I breakdown near to home? Not all breakdowns happen away from home, in fact, we've found for our customers who purchase breakdown cover which includes assistance at home, over 30% of breakdowns happen within a quarter of a mile of the home address. Our National Plus and European Plus cover include this feature and can help make sure you aren't stranded on a frosty morning if your car won't start on your driveway. Are only mechanical faults considered a breakdown? 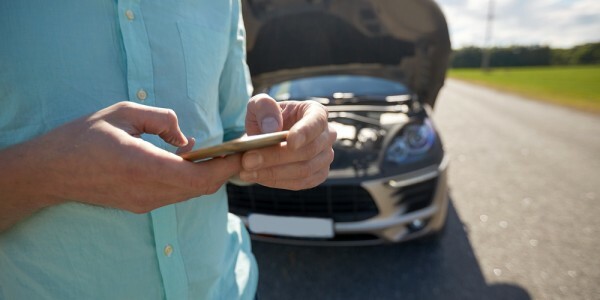 As cars become more sophisticated, there are more electrics on board that can go wrong, and Admiral Breakdown Cover will help you if that happens. However, it’s not just mechanical, you're also covered if you get a flat tyre, lose/break your keys, or if you get stuck in mud, snow or sand. 1. Make sure you choose the right level of cover for you. We offer three levels of cover with different benefits, including nationwide recovery, assistance at home and cover for breaking down in Europe. Existing customers can find their level of cover on our Customer Portal, and if you want to change it you can call our Customer Services team. 2. Keep an emergency kit in your car - this might include a coat, torch, portable phone charger, and some snacks and drinks to keep you as comfortable as possible while you’re waiting for assistance. 3. You don't have to stay with your car! If there is somewhere dry and warm nearby where you can wait and is safe to get to, let the Claims team know and you’ll get a call when the recovery operator is close. 4. If you break down on a motorway, it’s easier to find you if you call from an emergency SOS phone. The Claims team can call you back on your mobile with any updates.